I share thoughts on child abuse in relation to faith and belief. I also cover cyber bullying as next week is anti-bullying week. Finally I reflect on a busy week giving media interviews to both radio and television. David Niven Associates is able to offer individuals and groups access to the media training they need to ensure they can represent themselves effectively in a positive way or deal with a crisis situation should they need to address the media at any time in the future. 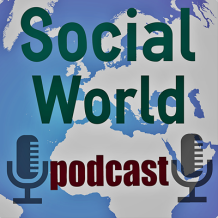 To subscribe to the Social World Podcast for my thoughts on the social world click here. See previous blog on the importance of media training in social work here.